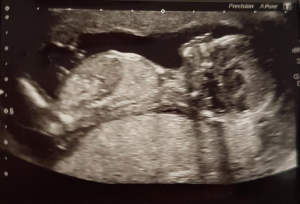 We have been for our first routine scan this morning and we are now 13 weeks and 5 days! Our due date has moved forward by 4 days to 12/09/2019. Everything is looking healthy and going well so far! Just want to say again how grateful we are for what you did for us in October! We will keep you up dated on our baby’s progress!